One of Britain’s top netballers says the sport has “nothing to hide” after a BBC Sport investigation found there had not been any in-competition drug testing in the Superleague for five years. Last season – the campaign in which England won gold at the Commonwealth Games – no drugs samples were collected in Britain’s top division by UK Anti-Doping (Ukad). Half of the 12-member team that triumphed on the Gold Coast were selected from Superleague, with the Scotland and Wales squads entirely drawn from the competition. Scotland captain Claire Maxwell, who plays for club side Strathclyde Sirens, said elite players are “totally open” to testing. “We are all clean,” Maxwell told BBC Sport. England Netball would not comment on the findings or their drugs-testing programme, referring BBC Sport to Ukad, the body responsible for ensuring clean sport in Britain. Is there enough drug testing in English team sports? Superleague was one of three top-level women’s leagues, alongside rugby union’s Premier 15s and rugby league’s Super League, found to have not carried out any drugs tests through Ukad between 1 July 2017 and 30 June 2018. Ukad’s deputy director of operations Hamish Coffey said levels of testing in such leagues will “absolutely” increase as they grow. “The hardest decision we make is less about where to test and more about where not to test,” Coffey told BBC Sport. “It does come down to finite resource and us really trying to focus and prioritise testing resources where the greatest risk to clean sport is. Two top-flight men’s competitions – the professional men’s Elite Ice Hockey League and British Basketball League – also went untested by Ukad during the timeframe investigated. What is England Netball’s policy? The last time an in-competition test was conducted by Ukad for England Netball – which oversees the Superleague – was between 1 January and 31 March 2014. While the data provided to BBC Sport, obtained via a Freedom of Information request, related specifically to Superleague, quarterly figures show 12 out-of-competition samples were collected for England Netball between 1 January and 31 March 2018. It was during this time that the four home nations named their squads for the Commonwealth Games. All Superleague netballers attend Ukad’s ‘100% Me’ course each year, and all team officials and coaches must complete other Ukad-led programmes. England Netball says on its website that anti-doping rules are “consistent” with the World Anti-Doping (Wada) code and it works “in partnership with Ukad to prevent doping”. Anti-doping expert Dr Paul Dimeo, of the University of Stirling, said netball’s lack of in-competition testing would make it “easy” for dopers. “If there is no in-competition testing and athletes know that, then that opens the door for them to take some form of short-term stimulant that can boost performance quickly,” said Dr Dimeo. “That leaves a massive risk that people will take risks they shouldn’t. Maxwell said players are aware there is “zero tolerance” for doping in netball. “If anyone was ever to risk it then it is totally unacceptable and they wouldn’t be doing our sport justice,” she said. “We want to be seen as one of the leading sports in the world and, if you are going to be that, then we need to have top athletes. Overall, there were more test samples recorded in the male FA Youth Cup – an under-18s competition – than the top divisions of women’s football, cricket, rugby union, rugby league and netball combined. The Rugby Football League said it was “aware of the issue regarding a lack of testing in the Women’s Super League”, but that testing is “not specifically limited” to the men’s game. None of the women’s competitions were fully professional during the timeframe studied, with football’s Women’s Super League – from which the most tests were recorded, with 79 across 10 teams – becoming the first when re-launched in September 2018. During the timeframe in question, there were 23 full-time contracted England netball players, a majority of which were based overseas. A number of players in rugby union’s Premier 15s – in which testing has since begun – and cricket – from which 20 samples were collected – are also centrally contracted as internationals. The Football Association (FA), Rugby Football Union (RFU) and England and Wales Cricket Board (ECB) also all run their own illicit drugs programmes. The FA and RFU “bolster” testing from Ukad with their own funding, while the ECB covered the full cost of testing between 2013 and 2017 when no “public interest” testing – financed by the national agency – was available to them. Ukad said the design of its “intelligence-led” programme funds testing when there is a “physiological risk” and “financial incentives”. 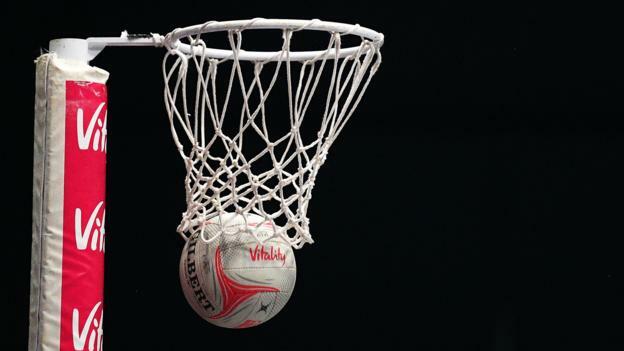 Since its success at the Commonwealth Games last year, England Netball has renewed its sponsorship deal with Vitality, a partnership described as “one of the largest” in women’s sport in the UK. England Netball would not say if any extra money brought in to the sport would go towards its doping programme. About 1.4 million people, mostly female, play netball. Almost 131,000 adult women started playing netball or more netball as a result of England’s success in Gold Coast, according to England Netball data. Coffey, Ukad’s deputy director of operations, said the fact that the World Cup will be held in Liverpool this year means the sport “becomes a focus”. With the Tokyo 2020 Olympic and Paralympic Games approaching, there will be increased scrutiny on athletes – both male and female – aiming to compete there. And, with women on course to outnumber men in the Great Britain Olympics team for the first time, Coffey said the gender split in testing will reflect that. Additional reporting from BBC Sport’s Denise Evans.